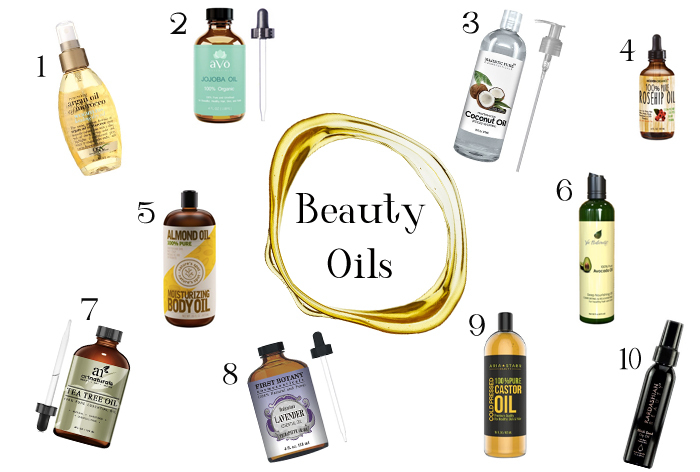 We all have at least one struggle when it comes to our skin or hair and most of us are not the biggest fans of chemical remedies anymore, so it’s just normal that we are craving natural beauty oils more and more. Too much silicone in our hair products and parabens in our skincare. 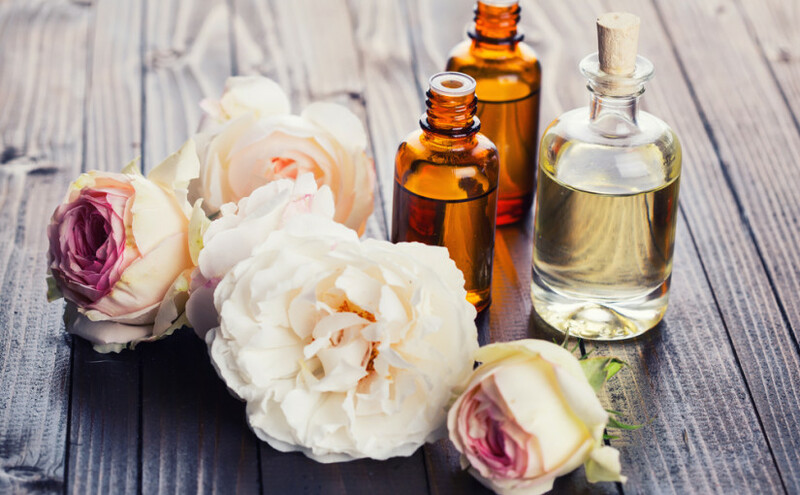 You can probably also remember your mums and grandmas not caring about the creams and shampoos we use today and rather going with natural oils and even making their own creams out of natural ingredients lying around in your home. This does not only have the advantage of exactly knowing what we put on our skin but especially protecting our budget 😉 Most of them are even on a crazy sale, so grab them quickly! Hair Benefits: One of the many natural beauty oils that give your hair more shine, giving color and highlights a multifaceted glow, while it mends split ends, and tames fly-a-way frizzies. Hair Benefits: Repairs dry, frizzy hair leaving hair silky, healthy, and vibrant with nourishing natural vitamins. Skin & Nail Benefits: Unclogging pores and leaves skin and nails naturally smooth providing antioxidants and moisture that heal blemishes, acne, stretch marks, eczema, rashes and more. Hair Benefits: Used as a conditioner or mositurizer it leaves your hair smooth and shiny making it look strong and healthy. Skin Benefits: Excellent moisturizer and fantastic for soothing skin rashes, irritations and inflammation. Also known to help fight acne, soothing chapped lips, and skin conditions like eczema and psoriasis. Hair Benefits: Moisturizing and fighting damp hair. Great conditioner to seal split ends. Skin Benefits: Anti-Aging effect for soft, supple, elastic skin. Diminishes fine lines and wrinkles. Encourages collagen production. Deeply moisturizing for glowing, youthful skin. Hair Benefits: Nourishes and strengthens hair, optimal for treating hair loss and damaged hair, adds silkiness and shine & nourishes the scalp. Skin Benefits: Fighting dark circles under eyes with strengthening and nourishing effecst on the skin. Promotes blood circulation which effectively prevents stretch marks. Moisturizes dry skin and prevents wrinkles. Hair Benefits: Moisturizes hair and improves natural shine. Massaging your scalp may help stimulate new hair growth by increasing blood circulation and helping unclog hair follicles. Skin Benefits: Deep-penetrating moisturizer loaded with Vitamins A, E, and K which help preserve the skin’s natural beauty by protecting against, and eliminating harmful free-radicals. Hair Benefits: Can help to reduce the effects of hair loss and promote hair growth. Treats dry scalp, dandruff and helps to prevent lice naturally. Skin Benefits: Helps heal and soothe sunburns. Heals skin infections naturally. Relieves itchiness from rashes and helps reduce rashes. Helps remove skin tags, treats psoriasis and other skin conditions like acne. Hair Benefits: Supports healthy hair growth. Skin Benefits: Massaged on your skin as a relief for muscle or joint pain, as well as for skin conditions like burns, acne, and wounds. Make sure to dilute it with carrier oil. Hair Benefits: Healthy, thicker hair, curly hair will feel softer. No more breakage when detangled or manipulated. Prevents hair loss, no more shedding, tangling, dry ends and brittle, thinning, dry scalp and dandruff. Helps to get thicker eyebrows and eyelashes. Skin Benefits: Blemish free and healthy looking supple skin. Removes dirt, grime, make-up, and dry skin leaving your face supple and delicious. Helps to fight acne like other natural beauty oils but also removes acne spots and scars, body moisturizer, no more terribly flaky dry legs, skin will stay moisturized all day, smooth skin, even skin tone, no more skin discoloration, reduces pigmentation, minimizes fine lines and wrinkles, reduces dark circles, reduces eye bags, fades stretch marks, and helps minor skin infections. Hair Benefits: Rich treatment and styling aid that rejuvenates and nourishes hair so it appears strong, thick, smooth, and gloriously shiny. Skin Benefits: Treats dry skin to make it super soft again.